Honda Marine BF50 - 25 in. High Performance Gearcase - gets you going faster: Designed to get you going faster, the BF40 and 50's gearcase reduces drag, greatly reduces hull porpoise and minimizes spray, thus increasing acceleration and top speed. A longer anti-ventilation plate helps trap water flowing to the propeller to minimize porpoising; A streamlined front and longer bullet reduce drag for enhanced acceleration and fuel efficiency; A front splash plate reduces spray from the hull bottom, maintaining a dry deck above. Lightweight: Because of Honda’s elegant design, the BF40 and 50 are the lightest engines in their class. Perfect for aluminum boats, inflatables, skiffs and flats boats. Fisherman Friendly 800 RPM Trolling: Fishermen will appreciate the low trolling speed of the BF40 and 50. Type: 4-Stroke SOHC, 3 Cylinder, 2 Valves/Cyl. Trim Range: -4 deg. to +16 deg. Overall Width: 372 mm/14.7 in. 4-Stroke SOHC, 3 Cylinder, 2 Valves/Cyl. -4 deg. to +16 deg. Honda Marine BF100 - 20 in. Honda Marine BF100 - 25 in. Honda Marine BF25 - 15 in. Honda Marine BF25 - 20 in. Honda Marine BF30 - 15 in. Honda Marine BF30 - 20 in. Honda Marine BF40 - 20 in. Honda Marine BF50 - 20 in. Honda Marine BF60 - 20 in. Honda Marine BF60 - 25 in. 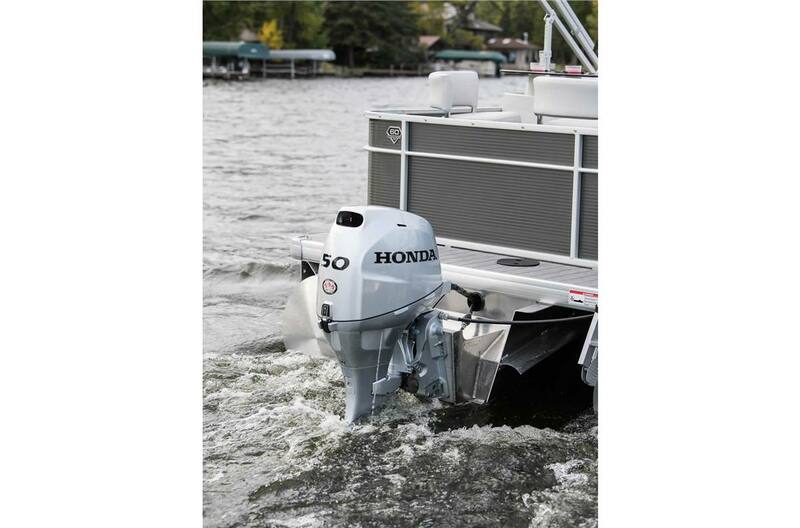 Honda Marine BF75EFI - 20 in. Honda Marine BF90EFI - 20 in. Honda Marine BF90EFI - 25 in. Honda Marine BFP60 - 20 in. 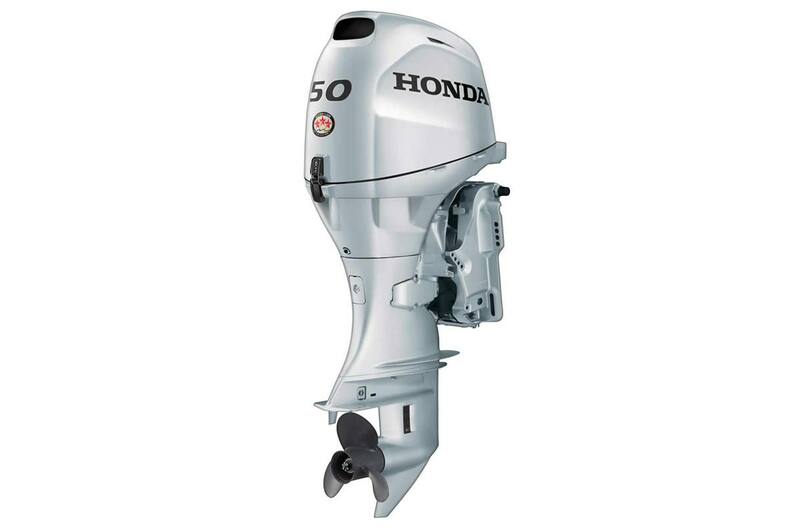 Honda Marine BFP60 - 25 in.